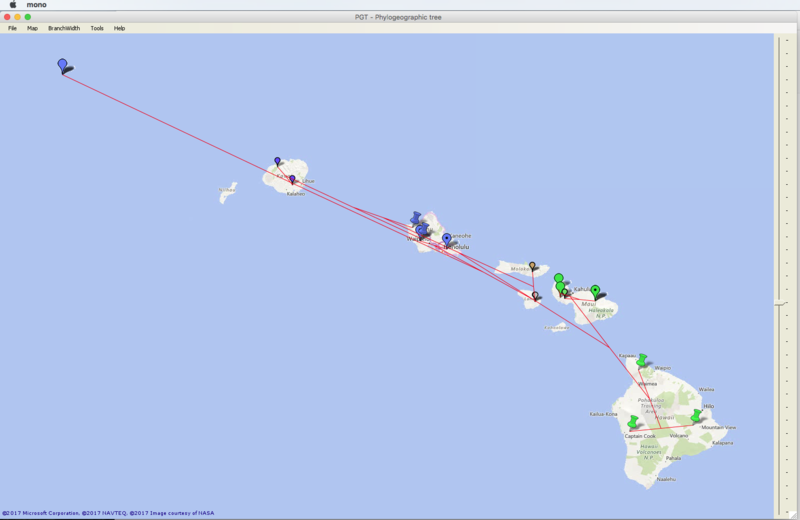 Main function: Plot a phylogenetic tree onto a geographic region using Bing or Google Maps. Click 'File|Open' to open a sample file, e.g., Banza.pgt (which is in plain text) that comes with installation. Click the 'Map|Raised|0.5' to see a raised geophylogeny. If your 64-bit Windows PC is new or updated, then you can launch PGT now. Otherwise, install and run PGT. If your 32-bit Windows PC is new or updated, then you can launch PGT now. Otherwise, install and run PGT. Download and unzip PGT.zip to a directory, say ~/PGT. Installation is now complete. For 64-bit MAC, type mono --arch=32 PGT.exe (Tip from Dr. Rutger Vos) to run PGT. For 32-bit Mac, just type mono PGT.exe to run. 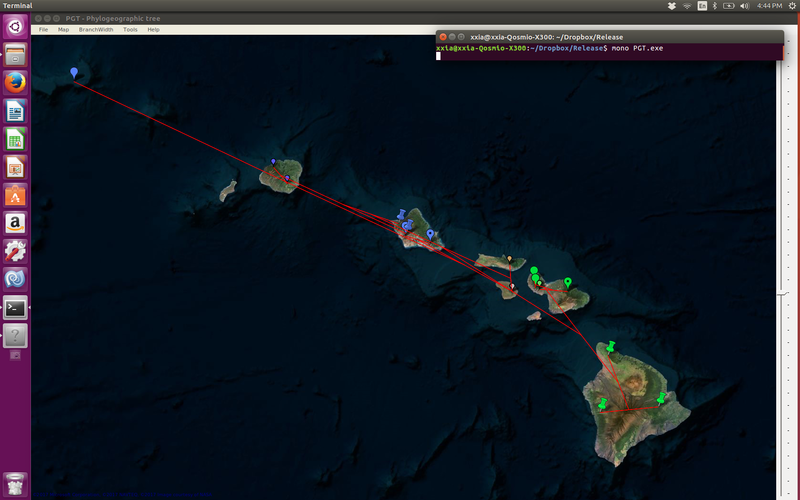 Here is a screenshot of PGT on Ubuntu with a satellite map, and another of PGT on Macintosh with a regular map.